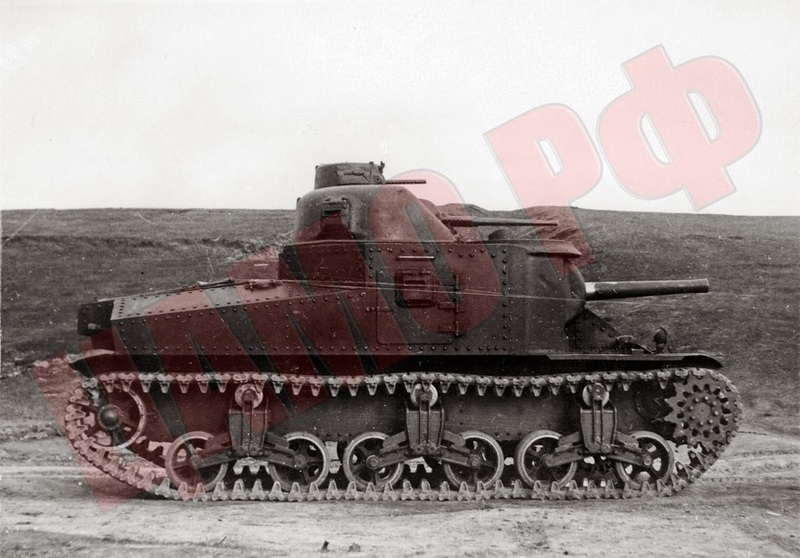 The M3 Lee was meant to be a stop-gap design before a "real" medium tank could be built (ie, the Sherman), but it was good enough for the sands of Africa. Sadly, the Eastern Front was a little more demanding. 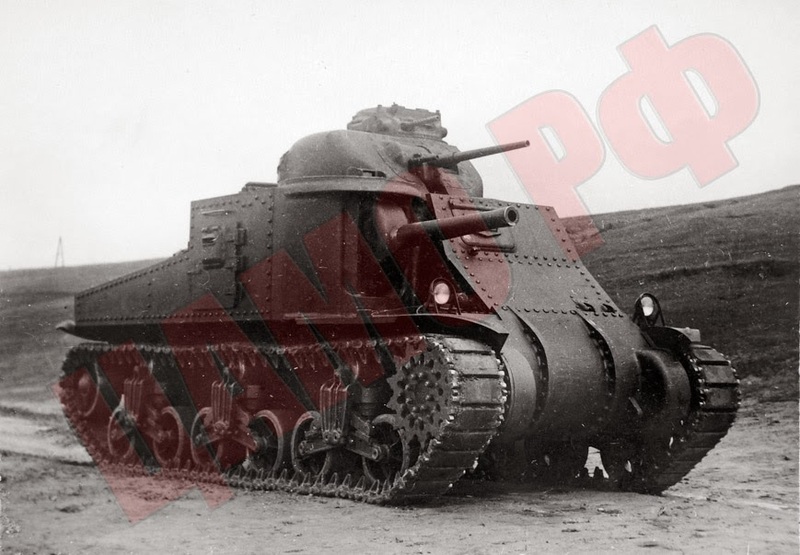 Here are the Soviet impressions of the M3 Lee, or, as it was indexed in the Red Army, M3s (sredniy, medium). This particular tank was #304293, and arrived in the USSR on February 2nd, 1942. Both the size and design of the hull are not modern. The tank is too tall, and the vertical positioning of the armour plates (with the exception of the front ones) gives the tank poor protection against artillery fire. The inside of the tank comfortably accommodate 7 crewmen, and also can carry 10 soldiers armed with submachineguns in summer conditions. The tank can be used this way to transport submachinegunners. While carrying troops, all tank guns can fire. Dropping off the 10 soldiers through the side hatches takes 25-30 seconds. Side hatches provide convenient entry and exit for the crew and soldiers. The periscopic sights are simple and have no original solutions. They protect the crew from bullets and provide for adequate visibility. The machineguns and ammunition rack are placed with adequate convenience. The limited angle of traverse of the 75 mm gun (32 degrees) limits its effectiveness. A lack of sights for machineguns placed next to the driver and in the small turret prohibits aimed fire, and forces one to question the point of such machineguns. The engine is reliable. The use of star-shaped engines in tanks is not ideal, due to the inevitable increase in the height of such a tank. Gasoline engines, especially high octane aircraft engines, cannot meet all requirements for tank engines. The best tank engine is a diesel engine, with superior flywheel moment, higher fuel economy, lower fuel quality requirement, and, what is most important, superior fire safety. The transmission contains an interesting turning mechanism: double differential with oil bathed brakes, guaranteeing reliable operation and ease of driving the tank. Cooling radiators for oil in the engine and gearbox provide normal temperatures for devices in summer conditions with high external temperature. The concept of oil cooling should be more common in domestic tank building. The rubber-metallic track has a long service life, and should be considered for implementation in domestic tank building. The buffered spring suspension of the tank is simple, reliable, and provides smooth movement of the tank. Track support rollers are too close to the carriers, which leads to them being packed with mud on muddy roads, stopping, and increasing wear on the tracks. Compared to domestic tanks, it is difficult to access tank components for field repairs, but this is not a significant drawback due to the reliability of the tank in general and its separate components." Wait, am I reading it right? Did the soviets really try to cram 17 people inside this tank? My general understanding on how the Soviet came to use it is as an all-purpose IFV/APC. And it seems to me they were not afraid of cramped spaces anyway. Well, the Soviet did not valued M3 highly and there were better tanks available. So having it operating as a tank as well as an APC at the same time seemed kinda pointless to them IMO. "A lack of sights for machineguns placed next to the driver and in the small turret prohibits aimed fire, and forces one to question the point of such machineguns." Them Americans and their machineguns. You say that like aiming was important. It was all about the Dakka back then. The hull machinguns were fixed, i.e., they could not be aimed at all except by pointing the entire tank at the enemy. The same idea was tried on the first few Shermans before being dropped. However, the Soviet IS-2 and T-54 both had hull-mounted fixed machineguns too.